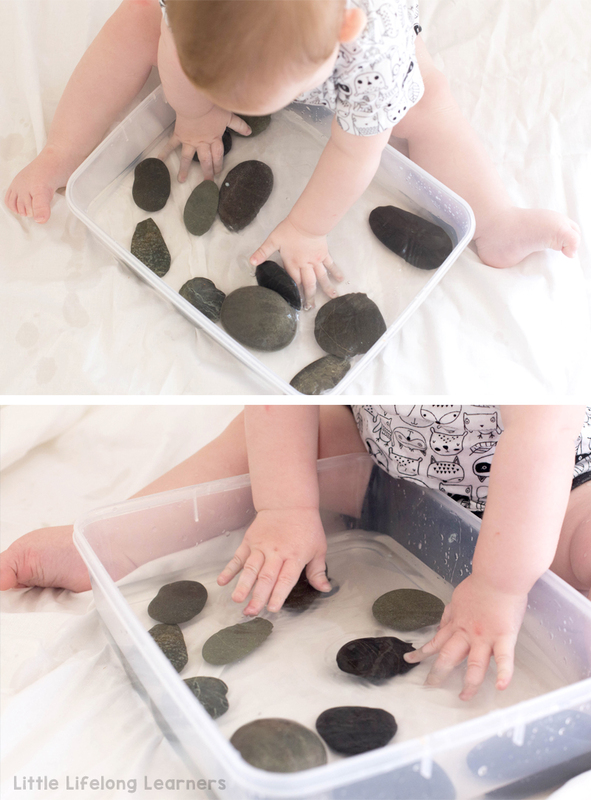 Here is a super easy idea for setting up a sensory tub for babies that your little learners are sure to love! I just love easy ideas for play and this one is certainly one if the easiest I know! When I was tidying our play room cupboard, I came across these gorgeous river stones that I had collected during one of our holiday road trips. They were nice and big and so very smooth! I wracked my brain to think of an activity I could do with them with my 7 month old. My little guy was just learning to sit so I wanted something he could do while sitting propped up at a tub. Then it came to me! A nice and easy water play tub! I sorted through our pebbles and got all the really big ones. If you’re not sure if something is suitable for mouthing babies, pop it in a toilet roll tube. If it fits, it’s probably too small. However, you should ALWAYS surpervise little ones, especially around choking hazards and water. Next I added a few centimetres of water and set the tub out on an old Queen sized bed sheet ready for my little guy to explore! He absolutely loved picking up the pebbles and then dropping them into the water. Splashing the water up out of the tub also proved to be a heap of fun! As you can see, this is a perfect tub for the warmer Summer months too! 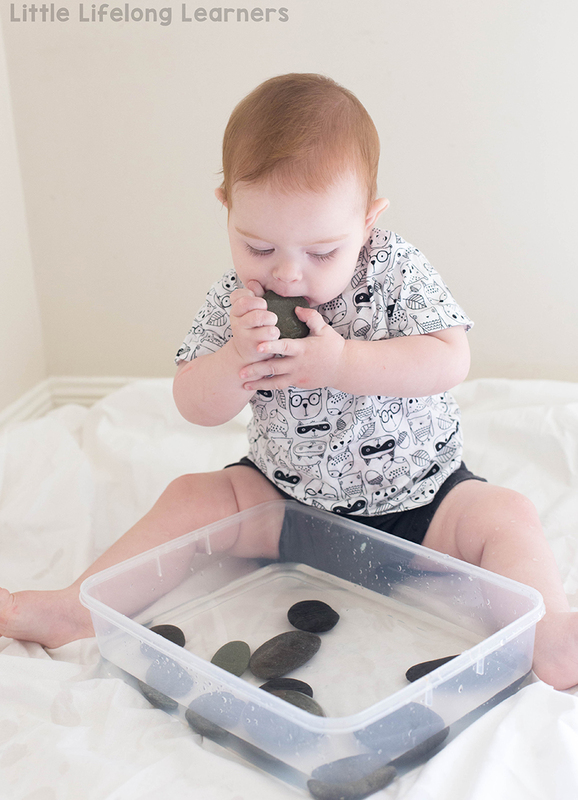 Eventually, he discovered that the pebbles were quite interesting to explore with his mouth as well. Lucky I spent time ensuring the pebbles were a safe size for him to mouth! So what do you think? 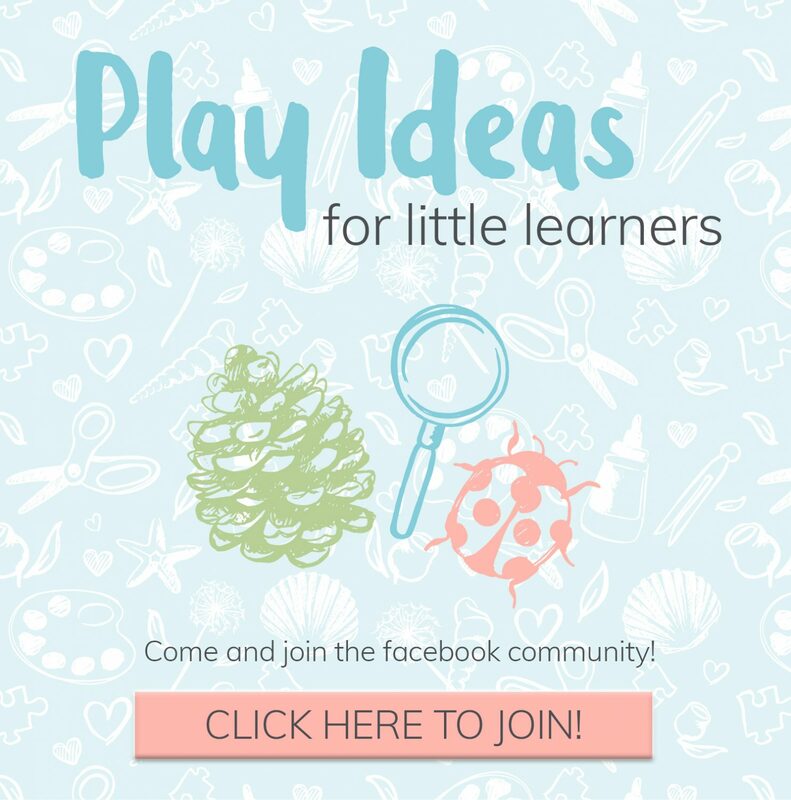 Is this an activity you might try with your little learner? 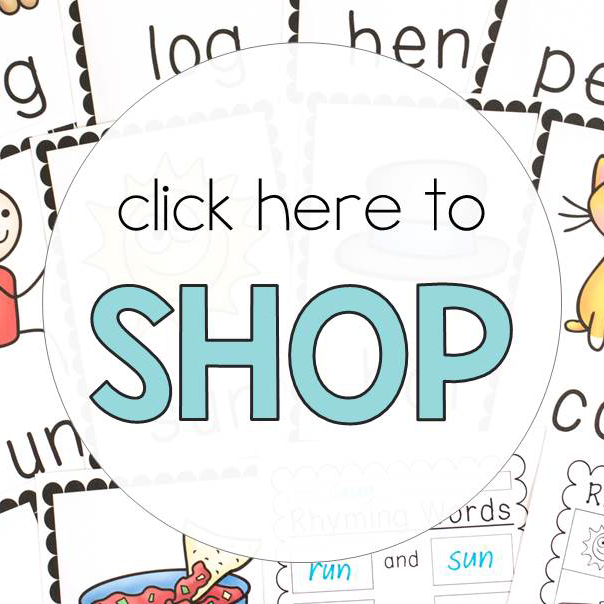 If you’re wanting to start sensory play but you’re not sure where to start, you’ll love my brand new TOTALLY FREE sensory play shopping list! 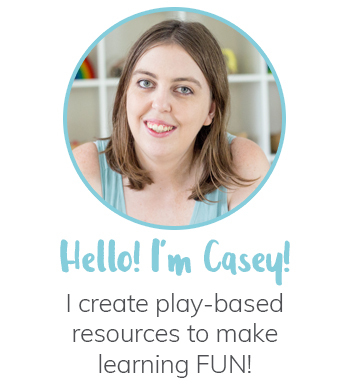 It also includes three bonus activities for getting started with sensory play today!